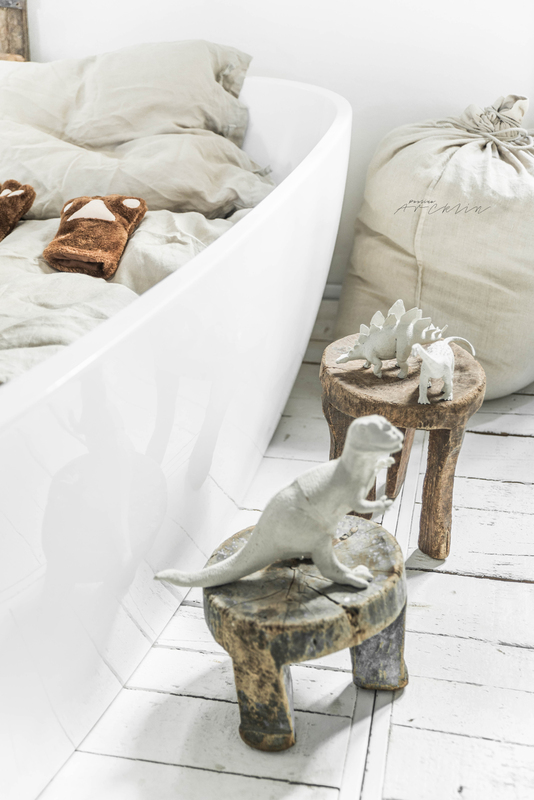 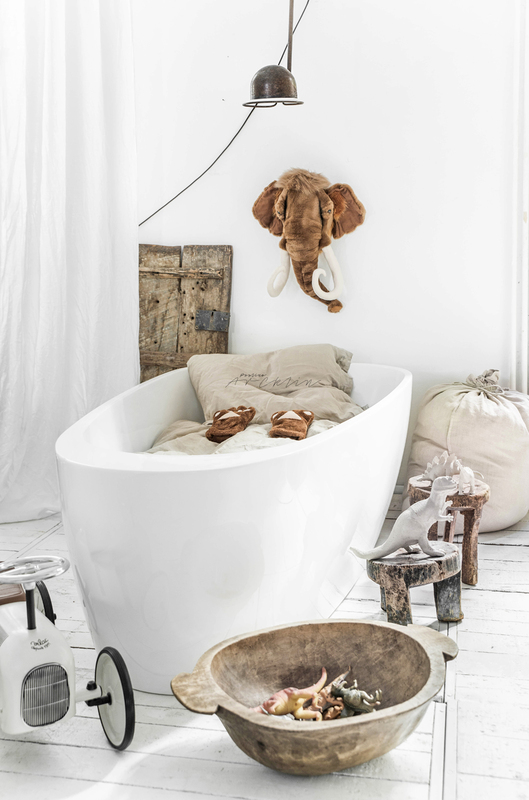 The Mammut bed on the bathtub, why not? 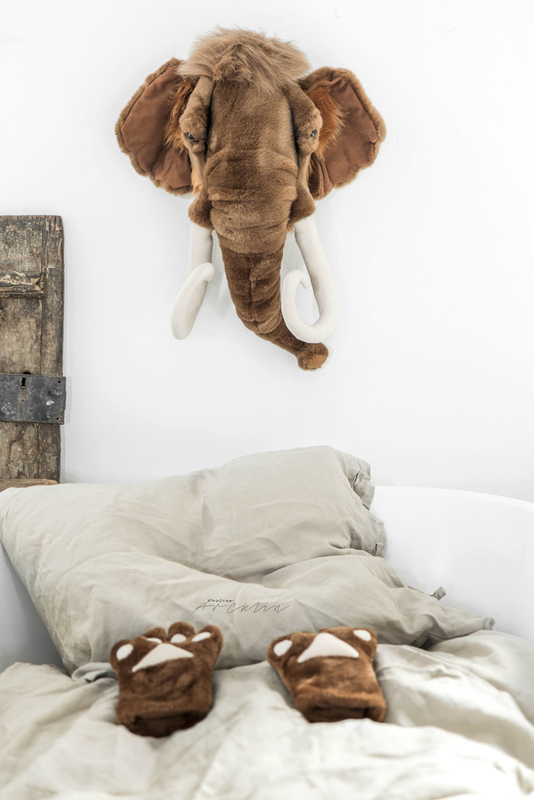 I'm playing and doing here photoshoots with Wild and Soft animal trophe heads. 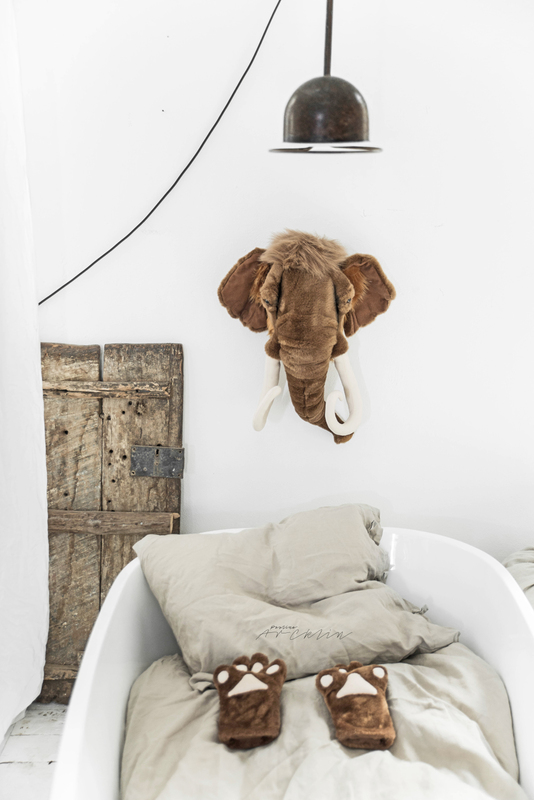 Those which brings up all teaching kind of Kids Stories alive and makes your Kids room more cool and creative.